If you have a healthy lifestyle or even if you are trying to have one. 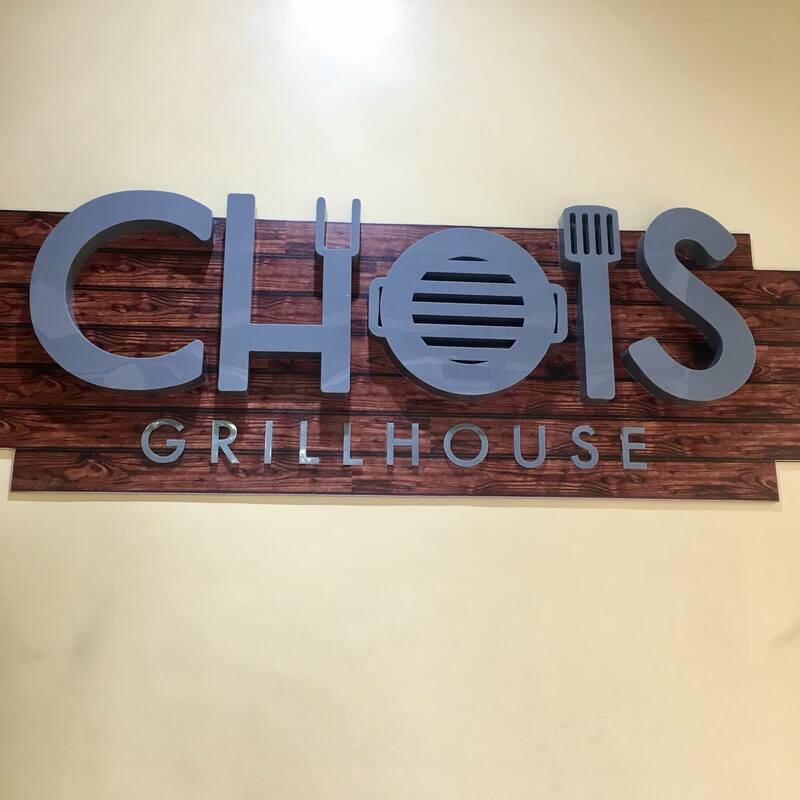 You should try Chois Grillhouse. It is a newly open restaurant located at Centro Maximo, D. Jakosalem St., Ramos, Cebu City . They serve foods with no msg or chemical preservatives. They also use charcoal to cook their food to avoid consuming petroleum gas. The idea came up when the owner and also the chef of the Chois Grillhouse’s mom got ill. He advised his mom to eat healthy foods for fast recovery. From that incident he decided to establish and make healthy foods for others. So why it is called chois? It is because you have a choice. According to their menu, you can choose your own meat, sauce and side dish. They have 6 original sauces that can have 36 combinations. The best part? Unlimited rice. Also, I love their side dishes! Marble potatoes are my favorite. Before the meal, while reading their menu, I was really intrigued about the bokchoy, and to my surprise it tasted really good. If you’ll ask me, I think Pork ribs with smokey barbecue sauce and roasted marble potatoes with wine butter sauce is the best combination. If you like greens (even of you don’t), you will definitely like their healthy starters which are mostly vegetables. What I do not like about green food is their bitter taste, however here in chois grillhouse, I barely tasted any green bitter flavor. It was a nice combination of healthy leaves and vegetables. The best thing about this place is it’s very affordable! If you are in a tight budget, you should try their rice toppers for only Php99. You can have either chicken or pork plus you can choose your own sauce. Just a suggestion, smokey barbecue sauce is delicious! They also serve healthy stuff in bread. These sandwiches are hard to choose from. Personally, I like the chicken salad sandwich because of the rich flavors mixed in it. The pulled pork has a very distinctive taste which is also good. If you like burger and beef, chois healthy burger is perfect for you. In a group? No problem. They serve platters which is composed of all the meat, sauces and side dishes all in one serving for Php499. Also, they have grilled boneless lechon which has a peculiar flavour. Very different from ordinary lechon. It can also be served solo. Aside from delicious meal, they have healthy drinks! You can choose from Cucumber and Mint, Lemon Mint Iced Tea, and Watermelon and Basil. Location: Centro Maximo, D. Jakosalem Street, Ramos, Cebu City. Disclaimer: Thank you Chois Grillhouse for having us!